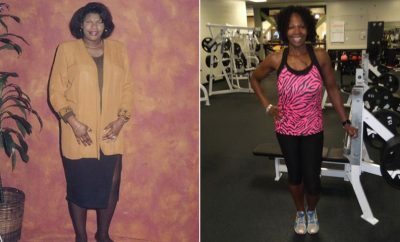 How I Gained It: Up until the age of 18, I weighed 125 pounds. At 19, I found out I was pregnant, and for a “starving-yourself-thin” teen, this was my ticket to eat! I gained 48 pounds during my pregnancy. I took about 20 of that off, but I was still carrying around 30 pounds of extra weight. I was in college at the time — studying, raising my daughter, and taking care of a husband and a home. I am pretty sure the freshman 15 was more like the freshman 25! I started my second pregnancy at the same weight that I ended the first one. My goal during my second pregnancy was to watch my weight. I ended up with extreme morning sickness and gained only 19 pounds with my second daughter, Kailey. The good thing was I lost the 19 pounds pretty much right away — the bad news is it found me again. I was working full-time as an accountant, plus overtime, and raising my family. The combination of too much work and too little time led to very poor eating habits. I started hitting the drive-thru on the way to work almost every day, and lunch-hour meetings almost always meant eating out again. Over the next five years, my weight ballooned from 180 pounds to 219 pounds. 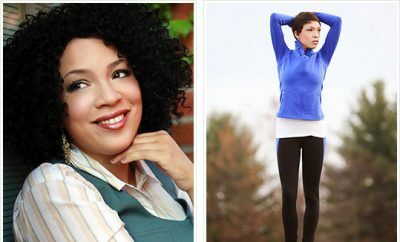 Breaking Point: Last January I read about the dangers of belly fat and the health issues it could cause — and I was scared! As a mom, I definitely want to live a long life to watch my girls grow up. 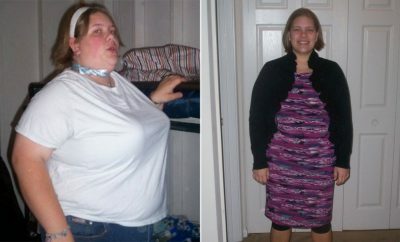 At 219 pounds I wasn’t enjoying life; I was hiding at home. I never wanted to go out. habits take 21 days to form. I’m not sure if this true, but it worked for me. After the 21 days, I kept going and started allowing myself a cheat day once a week. How I Lost It: I started my journey in January 2010 at 219 pounds, which at my height had me in the obese category of the BMI scale. I entered an online contest with a local radio station for a month of boot camp and a month of Bikram hot yoga. The challenging part was that you had to do it every day for 30 days! It really helped kicked off my journey. I recruited three friends to do it with me; we even started a blog about it! It was tough balancing family, work, and seven days of boot camp and yoga, but we did it. We laughed (a lot), cried (some) and offered motivation constantly. signed up with three co-workers for a 40-kilometer eco challenge that involved paddling, running and cycling in April. To help prepare, I hired a personal trainer using the money I used to spend eating out. I spent months training, and the event was really tough — the good part was it was a team event. We finished in just more than three hours, and I felt a huge sense of accomplishment. After the 40k challenge was over, without a big event to motivate me, I met with my trainer again to discuss my goals. I knew I still had a lot of weight to lose, and I needed a plan to get there. My plan was to be in a bikini for February 2011 for my 15th anniversary. We developed a workout plan that includes a combination of cardio and strength workout days — both free weights and TRX. In the beginning, I hated the gym, but boot camp helped ease me into it. As I became fit, I could challenge and push myself more so going to the gym was easier. My trainer also helped me get my eating habits under control. 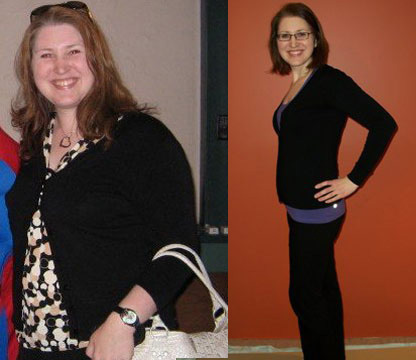 As I began to slim down, I altered my eating to better nourish my body and keep losing fat. What has made me successful? Three things: Determination, support from my personal trainer and accepting that this is not a diet — it’s a lifestyle change that will last forever. For people who want to lose weight, I recommend three crucial steps: First, make a plan. The better you plan for success, the more likely you are to succeed. Secondly, keep track of what you eat in a journal. I have an Excel spreadsheet. It keeps you accountable. And finally, learn to forgive yourself. If you mess up one day, just move and get back on track right away. Don’t put it off! 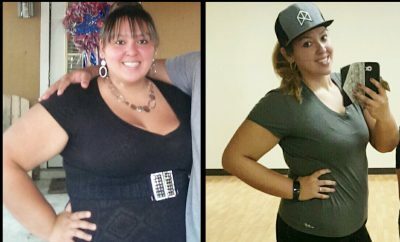 It took Kym a year to lose the weight, and she’s looking forward to wearing a bikini next month for her anniversary.